Freshway Foods Grab n Go salad kits will save your operation time and money without sacrificing freshness, taste, and quality. 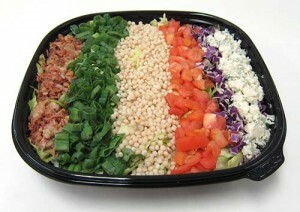 Simply assemble the components for fresh-made entree salads your customers will love. In addition to Grab n Go salad kits, Freshway offers fresh deli salad kits, nutrition bowl kits, salad bar components, pre-cut fruit and vegetables, repack produce, forward distribution solutions, and more.